Sir Edward Coley Burne-Jones, 1st Baronet (Eng. Sir Edward Coley Burne-Jones, 1st Baronet, August 28, 1833, Birmingham — June 17, 1898, London) — one of the leading British artists and designers of the late XIX century. His romantic paintings, filled with medieval images, marked the decline of the movement of the Pre-Raphaelites. He also became one of the pioneers of the revival of the ideal of the "artist-artisan" who influenced the development of industrial design of the 20th century. 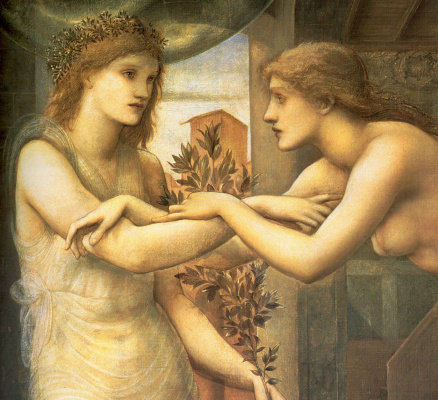 Features creativity Edward Coley Burne-Jones. The ardent imagination of the artist, fascinated by the romance of medieval knighthood, gave rise to such masterpieces as "King Kofetoi and the beggar woman" (1884) and "Merlin and Nimue" (1858−59). Stylistically, these works are close to the illustrations. Dante Gabriel Rossetti, his first mentor. However, the melancholic, sophisticated images of the Italian painters of the XV century had a more significant impact on the Burns-JonesFilippino Lippi and Sandro Botticellifilled with romantic and mystical moods. He believed that in art more beautiful beauty and sensual response, rather than a moral message. The first success came to the Briton at an exhibition in 1877, where "Days of Creation", "Enchanted Merlin" and "The Mirror of Venus" were demonstrated. From this point on until death, Burnn-Jones was often called one of the greatest artists of England. Famous paintings by Edward Coley Burne-Jones: "King Kofetau and beggar", "The Last Dream of King Arthur in Avalon", Golden Staircase, "Enchanted Merlin", "The Mirror of Venus","Days of Creation"
Edward Coley Burne-Jones was born in 1833 in a Welsh family. His mother died a few days after the birth of his son, and the boy was raised by a grieving father, who held a frame workshop, and a housekeeper. The future painter received his first education at the gymnasium of King Edward VI, and then continued at the Birmingham Art School. However, at the age of 19, the young man decided to devote himself to religion and entered Exeter College, Oxford, intending to become a minister of the church. 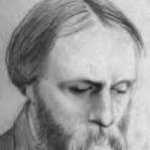 There he became friends with By William Morris, and together they formed the "Brotherhood" of the admirers of the Middle Ages and its literature, and the poetry of John Ruskin and Alfred Tennyson. The ideas of "Brotherhood" Morris promoted in the magazine "Oxford and Cambridge", which was founded in 1856. 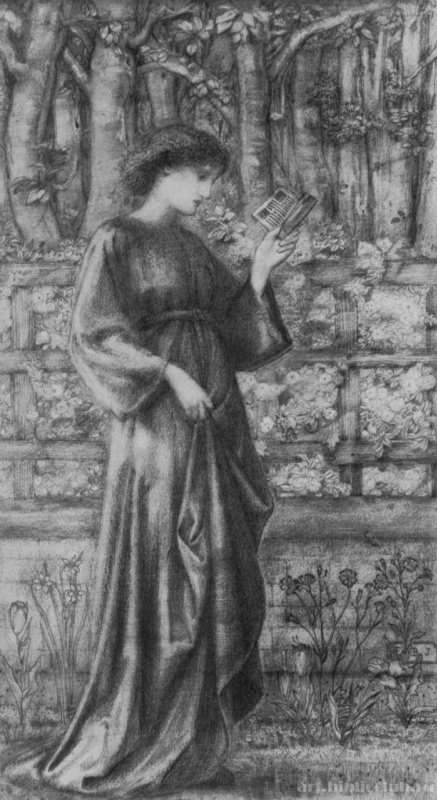 Through this edition, Burne-Jones met Dante Gabriel Rossetti, who was asked to contribute to the almanac. The artist had such a powerful influence on the young man that for the sake of a career in art, he left college without completing his education. In 1860, Edward married Georgiana, the second of the famous MacDonald sisters (all the girls from this Victorian Scottish family married famous people: the first, Alice, became the wife of art historian and illustratorJohn Lockwood Kipling and the mother of the writer Rudyard Kipling; the third, Agnes, chose a spouse Edward Pointer, the future president of the Royal Academy of Painting; the fourth, Louise, linked fate with industrialist Alfred Baldwin, from whom she gave birth to the future British Prime Minister Stanley Baldwin). 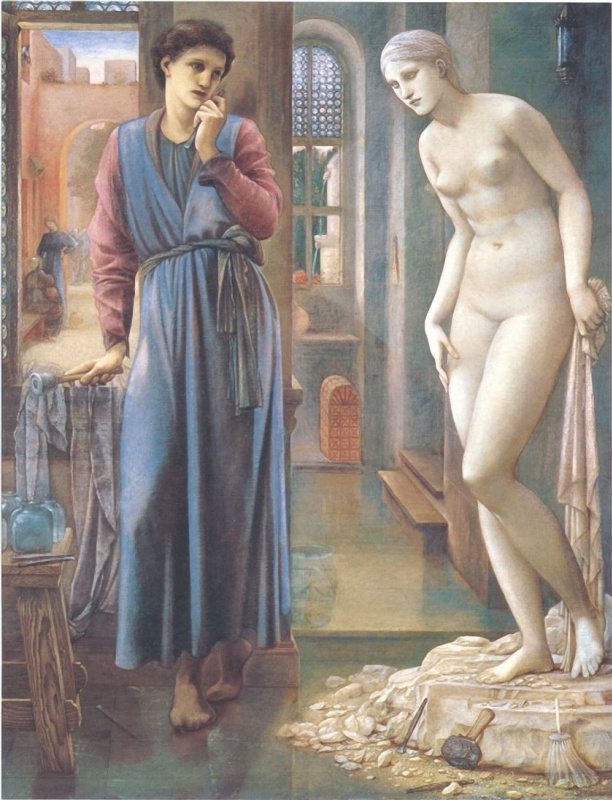 Philip Burne-Jones-- the son of Edward and Georgiana -- later also became a successful artist, the author of over sixty paintings, including portraits, landscapes and poetic fantasies. His two works --with father andcousin Rudyard Kipling -- They are now included in the collection of the National Portrait Gallery in London. The first famous oil sketch by Edward Burne-Jones was created for Bradfield College in 1856 and marked the beginning of a large series of stained glass cartons. A year later, the artist joined William Morris, who painted the walls of the Oxford Union debating club. But since at that time the friends did not own the technique of creating frescoes, all the images were scraped off even before their completion. In 1858, Burne-Jones wrotewatercolor for the Priest’s Story from the Canterbury Tales by Jeffrey Chaucer. This was his first illustration of the work of his beloved poet, who later became a source of inspiration for many of his works. 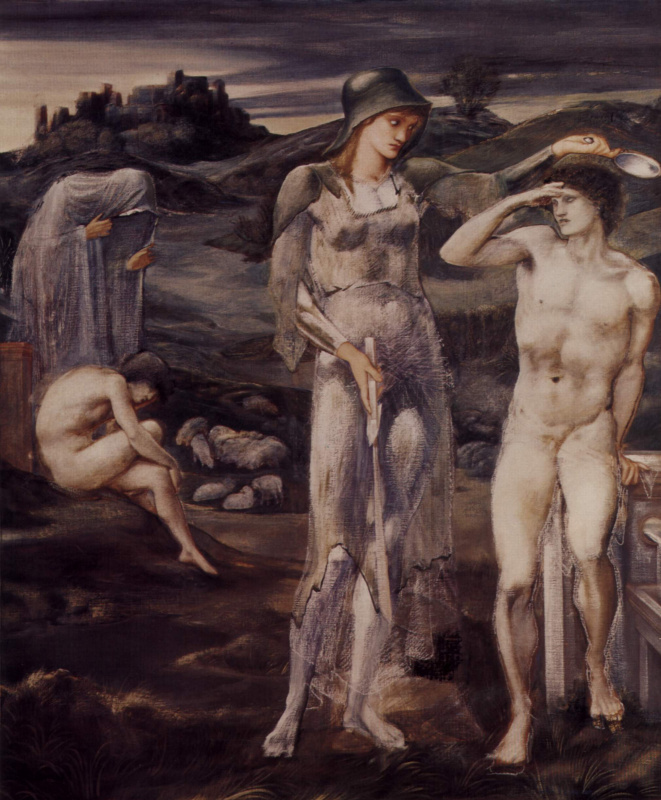 The reputation of Burne-Jones was largely due to the 1857 tour to Italy. There, the master discovered the Siena School of Painting, which focused on decorative beauty, elegance and elegance of Gothic art. 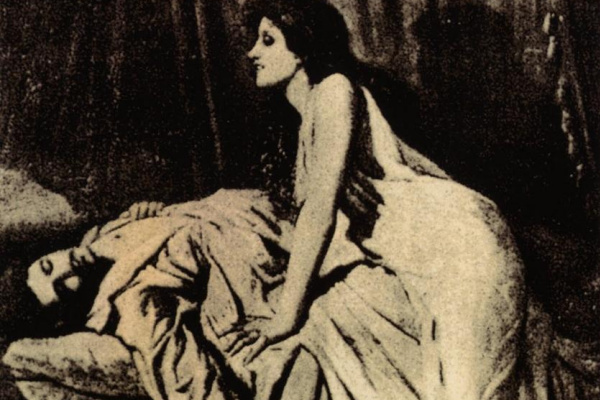 In 1860, he depicted Sidonius and Clara von Bork, watercolor, characters of the Gothic novel by Wilhelm Meinhold, The Sorceress of Sidonia.On the first represented by the title character, an evil witch, whose beauty no one can resist, buton the second — its victim, which the author described as "Intelligent, courageous and devoted, with a quiet, friendly disposition and the most pious Christian behavior". In 1861, Burne-Jones joined Morris, Rossetti and their associates as a co-founder of a decor manufacturing company, including carved ornaments, stained glass, forged products, paper ornaments, textiles, tapestries and carpets. This manufactory lasted until 1940, while maintaining a leading position in Europe in the field of arts and crafts. All items in the workshops were made by hand, because the "founding fathers" rejected machine production, believing that the craftsman — as in the Middle Ages — rises to the level of the creator, only combining the functions of an artist, designer and technologist. Burne-Jones developed, in particular, stained glass windows and figures for the Royal Palace of St. James. His works attracted great attention at the international exhibition in 1862, and this provided him with work for the next few years. Temples became one of the most important customers. For example, in 1871, the artist created the windows for the Church of All Saints in Cambridge, as well as for the Cathedral Church of Christ Church, Oxford. And his last major design project before the death of William Morris in 1896 was Stanmore Hall, for which a series of tapestries based on the stories of the Holy Grail was invented. In 1864, Burne-Jones became a member of the Society of Watercolor Artists, exhibiting "Merciful Knight". This was the first picture presented to the public in which his own artistic personality was revealed, not marked by the influence of colleagues. The next six years he developed a series of watercolor works, but in 1866 he was forced to break with the Society because of a scandalous affair withMaria Zambako — artist, sculptor and model. Art historians call the period from 1870 to 1877 in the work of Burne-Jones "silent", because during this time the artist presented only two of his works to the audience. A new wave of interest in the works of Bern-Jones gave rise to an exhibition in the Grosvenor Gallery in 1877, where the painter demonstrated "Days of Creation", "Enchanted Merlin" and "Mirror of Venus". For one night, he woke up famous. But two years later, such paintings as"Annunciation" and four series canvases"Pygmalion and Galatea" were already taken cooler. They radiated a melancholic serenity and were written in more subdued, soft and delicate shades than the ones that the artist used earlier. 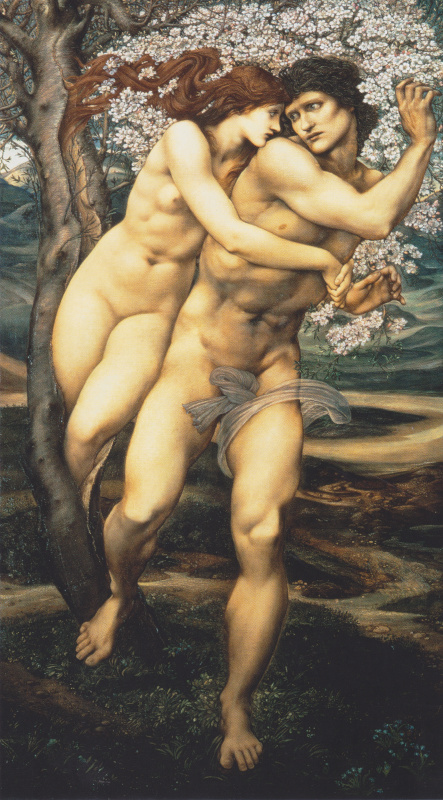 In 1885, Burne-Jones became a corresponding member of the Royal Academy of Painting, where he exhibited "Depths of the Sea", "Perseus","Copper Tower" and "Bethlehem Star". The quiet sadness that these canvases emit can be explained by the artist’s health problems — he suffered from tachycardia and loss of vision. Nine years later, Burne-Jones was knighted, and at the same time accepted the order to create costumes for the play "King Arthur" in the Lyceum Theater. The performance first went to London, and then went on tour in America. However, the artist did not like her because she was not romantic enough to taste him. 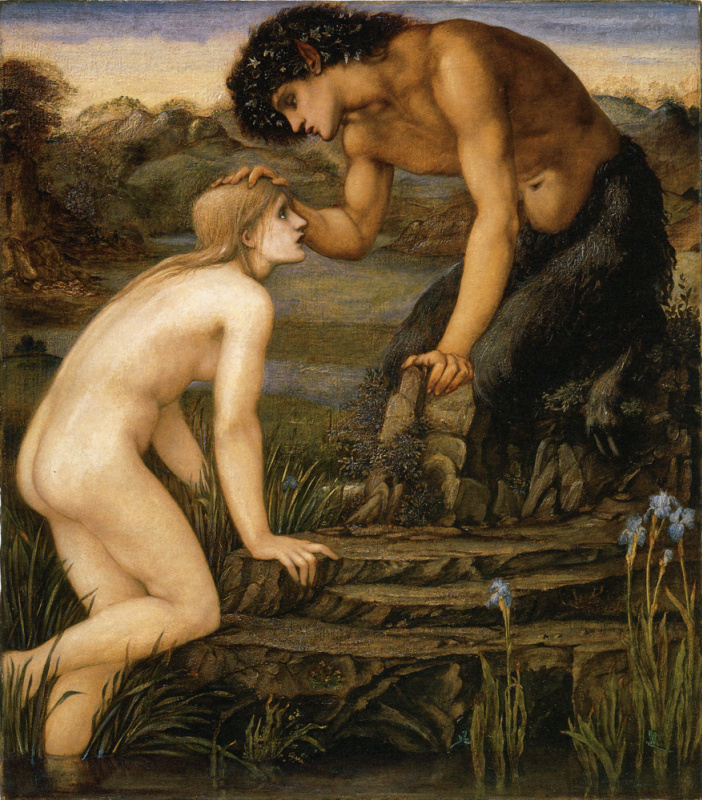 Burne-Jones was constantly under the yoke of his own ideas. His attention to detail was almost manic, moreover, he was a perfectionist. Before proceeding to the picture, the artist made a large number of preparatory drawings (1, 2, 3). And since he identified himself with his work, he often suffered from a nervous breakdown after the completion of large-scale work. And some of them were really grand. For example, the scene"The Last Dream of King Arthur in Avalon" It was begun in 1881, when Burne-Jones was 48 years old, and remained unfinished by the time of his death in 1898. "Avalon is my obsession now, and I hope that I can put [on the picture] everything that worries me"— wrote the artist. The canvas began as a small order, but eventually it grew to almost three meters in height and a little less than seven meters in length, which indicates its importance to the painter. The painting depicts the mortally wounded Arthur lying on a bench surrounded by three queens and numerous companions. All stood waiting for a sign from above — a call that would cause the legendary ruler to perform more feats in the name of faith. Critics suggest that Burne-Jones associated himself with the king and made a biographical statement with this masterpiece: he liked being surrounded by women, and in the 1880s he felt on the verge of death. By 1890, his health really deteriorated due to constant stress. The death of his friend and colleague William Morris in 1896 dealt an additional blow. Edward Burne-Jones himself died suddenly two years later, only 62 years old. After death, the influence of Edward Burne-Jones turned out to be more noticeable in the field of decorative design than in painting. He developed ceramic tiles, stained glass windows, metal and jewelry, decor for piano and organs, theatrical costumes and decorations, tapestries. Among the latter can be noted"Adoration of the Magi" (Exeter College Chapel, Oxford). In addition, the artist illustrated books. For example, Kelmskottsky Chaucer, a one-volume collection of works by Geoffrey Chaucer, published by Kelmskott Press in 1896, is considered one of the best works in the history of printing. Burn-Jones is considered the leader of a new aesthetic movement (or aestheticism), which emphasized the advantage of style and natural beauty over ethical and social issues. 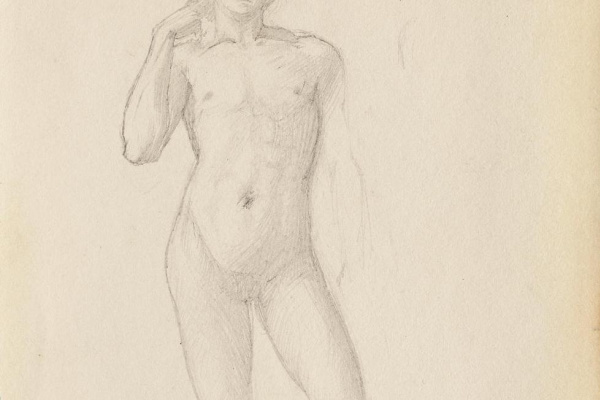 Although in his early works he borrowed a significant part of the themes from Rossetti, he had already developed his own style in adulthood, emphasizing figurative and romantic details. The painter wanted his paintings to reflect human dreams, and not the harsh reality of life. He admired pure colors, highlighting them with gold to give shine to his works. Sir Edward Coley Burne-Jones sought to ensure that his work remained in the heart of the viewer, and therefore his canvases are now so valued by collectors and museums around the world.